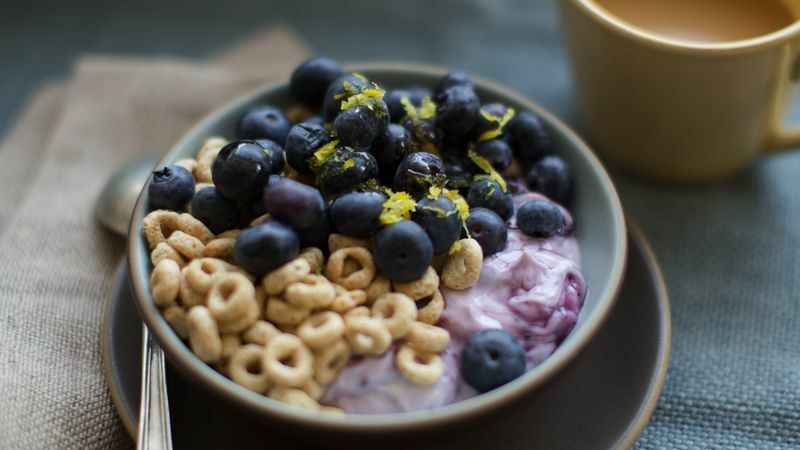 Top with cereal, blueberries and lemon peel. Blueberries and lemon team up to make a great fresh-tasting combination for breakfast or even an afternoon snack. To store blueberries for a few days, loosely cover and refrigerate.